At first glance, this product looks like any other mince meat. 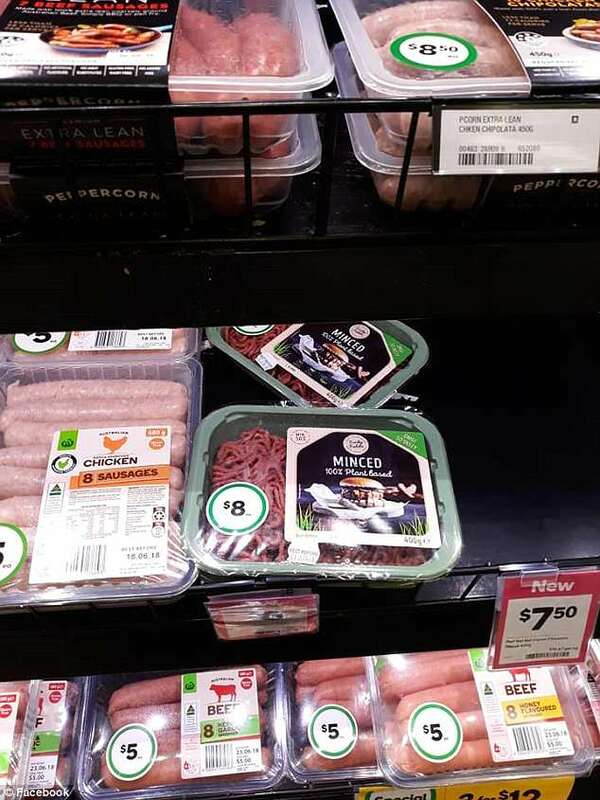 But eagle-eyed shoppers have noticed something different about the product, which was found in the cold meat section of Australian supermarket giant Woolworths. So can you spot what’s unusual about the mince? 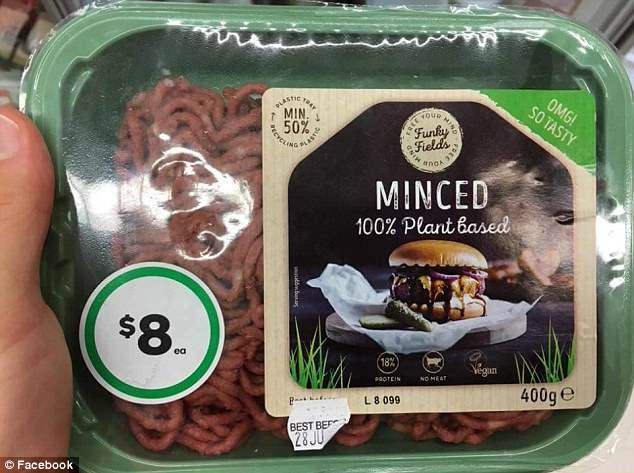 Upon closer inspection the mince, retailed at $8, is 100 per cent plant-based. An alternative to mince meat, vegan Australian company Funky Fields has launched its revolutionary new product, made entirely from plants. And while the latest meat-free product to hit shelves has delighted vegans everywhere, some were not impressed with the placement of the mince. ‘This is fantastic! 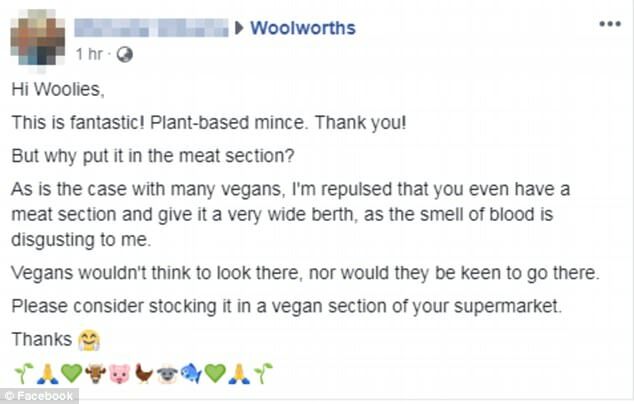 Plant-based mince. Thank you! But why put it in the meat section?’ a shopper said on the supermarket giant’s Facebook page. ‘As is the case with many vegans, I’m repulsed that you ever have a meat section and give it a very wide berth, as the smell of blood is disgusting to me. Another customer said: ‘Fantastic that you have 100 per cent plant-based mince. Can you please move it away from the real meat? One shopper chimed in, saying the placement of the product could be a good thing. ‘I think having it in the meat section might convince the occasional omnivore to choose the vegan option,’ she said. A Woolworths spokesperson told Daily Mail Australia: ‘We know some customers are looking to eat less traditional protein in their diets, either by introducing smaller portions, balancing meat and vegetable protein, or looking for 100 per cent meat replacement options. Catering for people who lead a vegan diet, the Australian-first plant-based ‘Minced’ has the same structure of meat and even the same protein content. ‘It has the same structure, same use and cooking method, and tastes like meat,’ the company said.